If you’re not familiar with Cocteau Twins, they’re pretty much credited for inventing their own subcategory of pop music during the 1980’s. Hypnotic, vibrant and ecstatic, they consistently dwelled in a lush and uplifting world of breathless wonder, inspiring perhaps dozens of band that followed them. On Blue Bell Knoll (1988), they perfected their celestial wall of sound. Pitchfork puts it in their list of the best 100 albums from the 1980’s at # 81, nestled between Perverted by Language, by The Fall (#82), and New Day Rising, by Husker Du (#80). I had the extreme thrill of seeing them perform twice in New York; in November of 1990, at the Ritz, and in March of 1994, at Roseland. At the Ritz, they performed in their classic lineup of Robin, Simon, Liz, and the reel-to-reel tape machine. Robin had some problems with his pedal board and they took an early (and lengthy) break to work on it. They had a full band at Roseland, with a live drummer and extra guitarists. 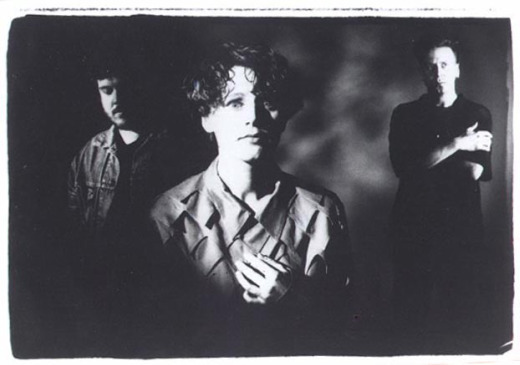 Cocteau Twins were one of those bands that seemed to create a singular, alternate universe of pop music that felt alien but vaguely familiar, like a suddenly reemerged memory of an enchanted realm to which you longed to return. Soon afterwards, they purchased a recording studio and formed their own label, Bella Union, then promptly split up. The split was brought about by the separation of Guthrie and Fraser as a couple, effectively ending the band, at which point Cocteau Twins entered into a realm of legendary myth and beatification.